Twenty-nine years ago I met a guy in Ft. Sam Houston, Texas. 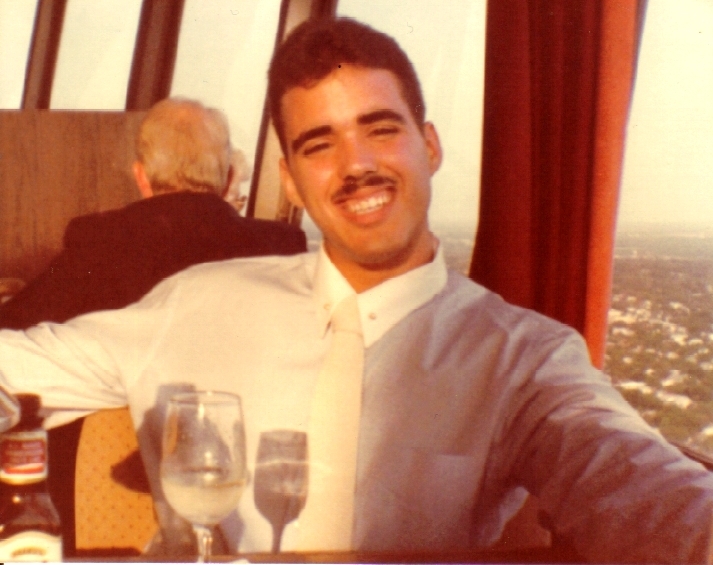 A couple months after we started dating, I celebrated his 19th birthday with him—I bought him a dress shirt and took him to dinner at the Tower of the Americas’ revolving restaurant in San Antonio. Today is that guy’s birthday. He’s now my husband and we’ve been married for almost 29 years. Our meeting was “accidental” (knowing what I know now, I realize that there are no “accidents”). I was stationed in Ft. Sam Houston almost a month before he arrived. I was assigned duty— to check in new people from midnight to 7 am. We were at Ft. Sam Houston until July of 1984 then we went back to our home state— California for me, and Florida for him. We literally had a long-distance, coast-to-coast, relationship for several months. Some of his friends thought it wouldn’t work out, and one of his friends actually tried to set him up with his cousin. Even his old girlfriend tried to get back together with him. It wasn’t easy maintaining the relationship— we survived on accumulating several hundred of dollars’ worth of phone bills (cell phones were nonexistent), writing tons of letters, and sending some cassette tapes to one another. Then in September of 1984 he flew to California to see me and proposed in front of the Queen Mary. On November 24th of that same year, we were married. I have seen my husband grow from a “boy” into a man. Most importantly, I have seen him slowly transforming into an image of Christ. It is because of his example of faithfulness that I was drawn to Christ again, and it is because of his encouragement that I was able to accomplish as much as I have. Thank you for helping me to go beyond my own expectations of myself! Happy Birthday to my husband and best friend! I love you!